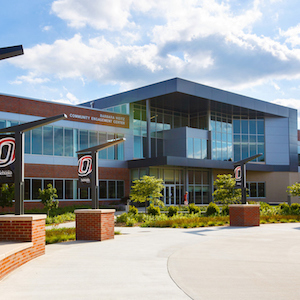 The Barbara Weitz Community Engagement Center (CEC) building partner organizations have the opportunity to work within the center where they benefit from unique access to UNO faculty, staff, and student resources, other UNO and community building partners, and the amenities within our state-of-the-art facility. A nonprofit organization dedicated to holistic wellness and recovery for cancer survivors and their caregivers. BPOA focuses on creating a stronger and more positive relationship between the police department and the north Omaha community through education and outreach. The Buford Foundation exists to make a difference in the lives of youth through camp confidence programs, where they can develop confidence and self-reliance, learn mutual respect, and deepen intuition and natural curiosity. Coalition Rx aims to reduce the misuse of prescription and non-prescription medicines by partnering with communities to raise awareness, provide community and professional education, prevention and treatment resources and public policy advocacy. The Down Syndrome Alliance of the Midlands is committed to connecting those touched by Down syndrome through education, advocacy, and support. Every Bite Counts (EBC) is a student-run service organization focused on food recovery and advocacy around food waste and food insecurity. The largest girl-serving organization in the state and for over one hundred years has provided leadership experiences for girls through volunteer-led programs. A human relations organization confronting prejudice, bigotry, and discrimination through education programs which raise awareness, foster leadership and encourage advocacy for a just and inclusive society. The Metropolitan Omaha Educational Consortium (MOEC) is a collaborative organization dedicated to public education and bringing metropolitan area educators together. Mode Shift Omaha advocates for transportation options that enhance the quality of life and opportunities for everyone to live, work, and play. The Nebraska Civic Engagement Table is a nonpartisan organization whose mission is to strengthen the collective impact of, and collaboration between, nonprofit 501c3 community and advocacy organizations that empower the rising electorate in our state. The Metro Extension District connects urban audiences with research-based information from the University of Nebraska. The Metro district seeks to connect with people and communities in Nebraska’s most populated areas and provide meaningful, educational resources dealing with issues that are important to them, such as economic, environmental, health/nutrition, and social issues. A nonprofit organization utilizing Shakespeare’s life-affirming works to broaden the cultural and educational environments of the community. Promotes creative writing and performance poetry throughout the Midwest through a variety of literary outreach programs, but primarily through hands-on, interactive workshops focused on the creation and performance of original writing. Nonprofit Association of the Midlands (NAM) is the only membership organization in the state dedicated exclusively to working with nonprofits in the Midlands. By connecting organizations with information, education, advocacy, and collaboration, we help members focus their energy on the people and communities they serve. Opportunities abound for UNO students and others to become involved in action projects and programs which create positive social change in our community and beyond. Through the powerful tool of musical experience and collaboration, Omaha Girls Rock cultivates strong values in female-identifying youth, developing confidence, self-reliance, and original thinking. By encouraging our female-identifying mentees to apply these principles in all aspects of their lives, we hope to help them grow into stronger and more valuable members of their community. OPL strengthens our communities by connecting people with ideas, information, and innovative services, a mission best achieved by working collaboratively with other organizations. 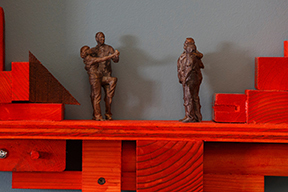 One Omaha, founded in 2015, is a public-private initiative dedicated to actively facilitating the development of neighborhoods in the City of Omaha through communication, education, and advocacy. A comprehensive, coordinated, and community-wide approach to juvenile services that eliminates the need for youth involvement with our justice system while maintaining public safety. Provides students the continual support needed to achieve success from kindergarten to careers. Using a foundation in goal-setting proficiency, strengths-based leadership curriculum, and the consistent support of adult role models, P4K focuses on four core areas to prepare students for academic success and the 21st century workforce. The UNO Service Learning Academy creates university-community partnerships by integrating academic scholarship and civic engagement. These partnerships enhance student learning, advance community development, and foster engaged citizenship. SPHRS is a project of Religious Studies that supports, or helps to coordinate, a variety of partnerships, initiatives and activities related to the areas of Spirituality, Public Health and Religious Studies at UNO, UNMC, and in local and global communities. The UNO Success Academy is a learning community aimed at supporting a select group of first-year students admitted by review at UNO. The Success Academy provides students with a foundation for future success through a wide-range of meaningful activities. STEPs is a UNO organization who promotes evidence-informed decision making through research and evaluation. We use a collaborative, utilization-focused approach to support social service programs and policies that transform and improve lives. A joint program between UNO and the Autism Action Partnership, serves to develop the social skills of young adults with Autism Spectrum Disorder (ASD). The target population of the program is individuals with high-functioning ASD between 18-26 years old. The Simple Foundation is an organization that offers scholarships, volunteerism, and mentoring to underserved children and families. The Simple Foundation works together with other entities to provide a collective impact and support within low-income communities. In working together, the Tri-Faith Initiative vision is to build bridges of respect, trust, and acceptance, to challenge stereotypes of each other, to learn from one another, and to counter the influence of extremists and agents of hate. A collaborative and innovative organization consisting of UNO’s Emergency Management Services (EMS) and Native American Studies (NAS) programs, Nebraska Tribal Community Colleges (Little Priest Community College and Nebraska Indian Community College); Nebraska Tribal Governments and the Tribal Emergency Management Association (iTEMA). The Tribal Management and Emergency Services Partnership is currently engaged in a bold initiative to collaborate with its partners to construct a standardized but scalable emergency management educational research and outreach program. This collaborative and transdisciplinary partnership will work to increase the capacity of Tribal governments to plan for, respond to, and recover from man-made and natural disaster emergency situations. The Munroe-Meyer Institute’s (MMI) mission is to lead the world in transforming the lives of individuals with intellectual and developmental disabilities, their families and communities through outreach, engagement, premier educational programs, innovative research and extraordinary patient care. The Urban League of Nebraska has been serving the Omaha community since 1927 and is one of 15 out of 98 affiliates to receive a perfect assessment score. A signature program of the National Urban League, Project Ready is a set of evidence-based standards plus practical tools specifically designed for and unique to the Urban League movement, for the purpose of getting African American and other urban youth ready for college, work, and life. VPA-UNO is devoted to providing quantitative and qualitative data and feedback to non-profit organizations from the perspective of their volunteers with the goal of improving volunteer and organizational outcomes. Founded in 1982, WELLCOM continues its mission of elevating workplace wellness and serves hundreds of employers throughout the Midwest. Our Mission at WELLCOM partners with employers to deliver wellness programs that impacts employee well-being and wellness, strengthens the culture and drives business results. A UNO institute dedicated to fostering creative and critical thinking among labor leaders, potential leaders, and interested members by providing relevant information and training in the skills needed in today’s changing economy and workplace. A community organization that partners with professional artists and area organizations serving at-risk youth, people with physical, mental or developmental disabilities and seniors to create interactive arts experiences. Building partner organizations go through a competitive application and selection process. UNO and community building partners also receive access to non-profit capacity building, technical assistance, and the benefits of Omaha's urban, metropolitan campus life. Learn more about the selection process.